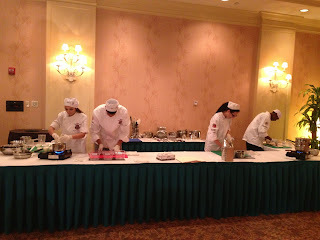 We entered the Sheraton Sand Key Resort and were greeted by student chefs passing hors d’oeuvres which they prepared. 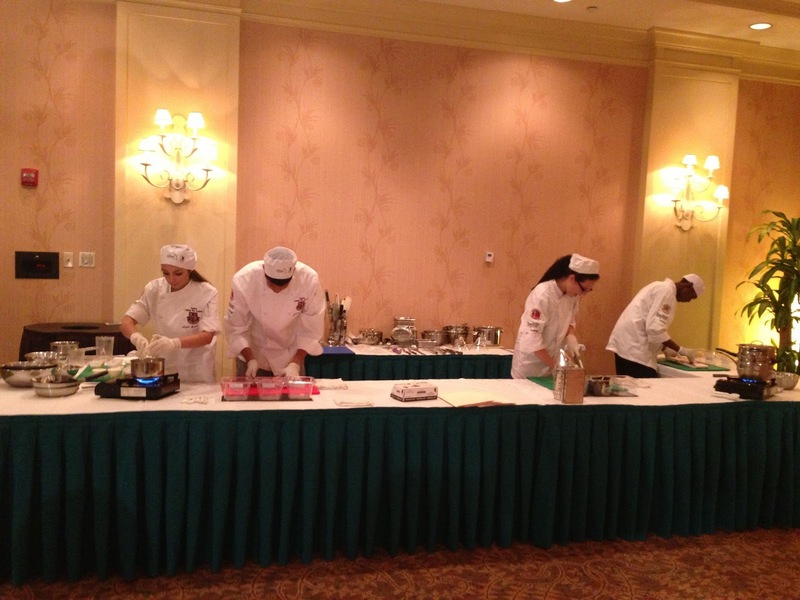 Meanwhile, there were two live student cooking demonstrations. The room was full of attendees bidding on silent auction items, everything from vacations to sports memorabilia. After enjoying a few appetizers along with wine and cocktails, we found our way to the dining area where nine executive Chefs were preparing amazing dishes for the crowd to enjoy. 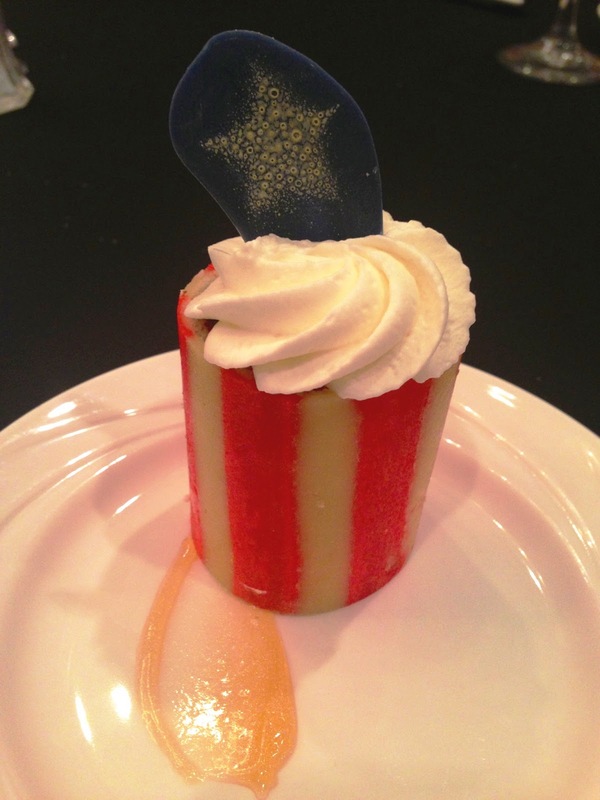 We found a table closest to the dessert area where I had to practice self control. 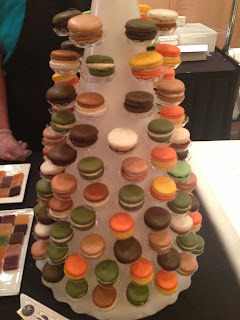 William Dean Chocolates had a table full of their handmade artisan treats along with a macaroon table including my favorite, a Salted Caramel macaroons...Swoon! Some of the students hand painted the chocolates which we absolutely enjoyed. The entrees of the evening were amazing. 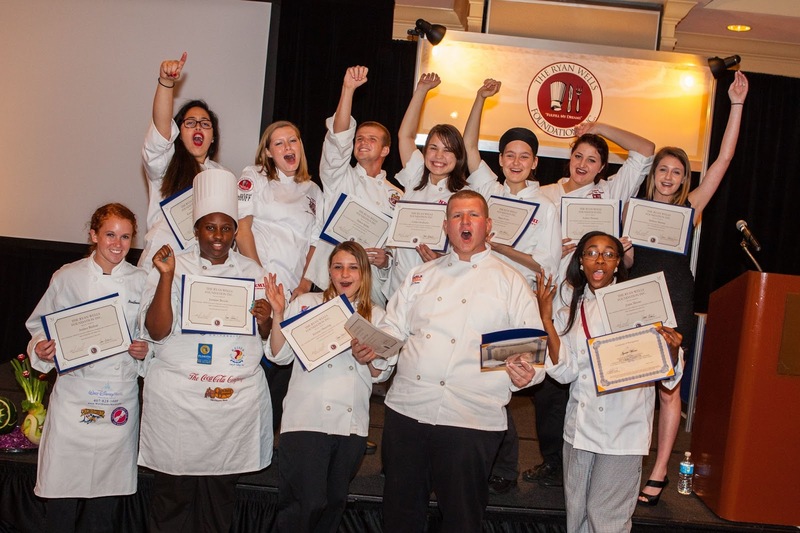 Each chef had student chefs assisting them. One of my favorites of the evening was from Café Ponte, a Short Rib and Sous Vide Heart of Rib Eye, Mustard Pomme Puree, Red Wine Salsify, Cognac Truffle Sauce. It was simply amazing and reminds me that I need to make another visit to Café Ponte soon. Rusty’s Bistro at Sheraton Sand Key Resort made an Argentinian Shrimp Skewer with Warm Tri-color Potato-corn Salad and Chimichurri sauce. The chimichurri sauce was perfect!! This was a perfect night. We enjoyed amazing food from top restaurants in Pinellas County while witnessing 12 aspiring chefs dream come true by being rewarded with a culinary scholorship. I applaud the Ryan Wells Foundation and encourage anyone in the Bay area to attend this event next year. It's a great opportunity to dine at various restaurants who are showcasing some of their top entrees while helping out an amazing foundation. Click here to learn more about the Ryan Wells Foundation and how you can help out. Seriously...what a night!! That Porchetta was amazing. Also fell in love with the short rib and rib eye "stack." Wow. Talk about carnivorous! Oh, and the Beef Agnolotti with scallop...amazing. I could go on and on. I'm so glad we were each other's dates for this event!! Thank you Megan for attending our event. Keep on writing and we'll keep on fulfilling dreams. Cheers!